Idaho | Keeping Wilderness WILD! You are currently browsing the category archive for the ‘Idaho’ category. Taking a long trip into the backcountry during winter doesn’t appeal to some people. That’s understandable. But I enjoy it, and it’s something I try to do a few times a year. Winter backpacking is very different, and more challenging, compared to strapping on the pack during other seasons. For one it’s darn cold, with many trips never getting above freezing, day or night. Two, there’s usually lots of snow on the ground, which means you’re probably wearing snowshoes, and, perhaps, breaking trail too. Three, your pack is heavier because of all the extra warm gear you are carrying, including more food because you need to consume a lot of calories each day. Four, you have to work harder in just about everything you do, from setting up your shelter and trying to stay warm to melting water and attempting to stay hydrated. Five, there’s not a lot of daylight, so you have to stay motivated and keep moving if you want to cover some miles. Lastly, not too many people want to spend 5-6 days in the cold, blowing snow of the northern Rockies in January! But find someone to share the workload if you can! My recent trip into the Frank Church-River of No Return Wilderness was with a friend, and, perhaps more importantly, an individual with a skill set that I could trust and depend on. Once the weather report showed a high-pressure system moving across the region, Russell and I finalized our plans and set out for the trailhead. We felt confident we could cover 50 miles before the next weather front moved in. For two and a half days, we trudged across the frozen ridge, one foot after the other, breaking snow almost the entire time. Occasionally, we would hear the call of the raven or the knock of the woodpecker, but for the most part we walked in silence and deep in thought. Accompanying us the whole time was a set of moose tracks, with deer and elk tracks scattered about. It appeared snowshoe hare were in the area too. Blood on the trail indicated that a mountain lion, or another carnivore, might have wounded one of the ungulates. The daily routine of building the morning fire, boiling water, drying gear, packing up, snowshoeing 10-16 miles, and then searching for a place to dig out the next snow cave was in some ways more mentally challenging than physical. But the white silence of the forest was peaceful, views of the snow-covered mountain peaks were tantalizing, and the cold, crisp air was exhilarating. With each arduous step, the wilderness boundary drew nearer. You know the feeling. As one travels down the trail, through the forest, around the next bend or over the saddle, your heart pounds like a kid at Christmas. You anxiously await the sign that reads “…Wilderness, “…National Forest.” Yes, you say to yourself. Hope for humanity. Escape from the madness. Refuge for the plants and animals. Nature’s Bill of Rights at last. Leave me here and let me die with my true friends! And down the trail you continue. Prior to our trip departure, Russell and I learned about the intent of the Idaho Fish & Game Department to land helicopters, and harass and collar elk, in the Frank Church-River of No Return Wilderness. We were angry, concerned, disappointed, and flabbergasted by the fact that the Forest Service gave the green light to land machines in the Wilderness, up to 120 times over a 3-month period. Of course, it doesn’t matter if it’s 1 time or 12 times, but 120 times was mind-blowing. Who the hell is running the Forest Service? Didn’t they, along with millions of Americans, just celebrate the 50th Anniversary of the Wilderness Act not too long ago? Looks like that was lip service! And what about the people running the Idaho Fish & Game Department? Why do they still have authority over wildlife management on federal public lands? Why are their intensive and intrusive management plans being permitted in federally designated Wilderness? When is that going to change? Why is the Forest Service continually shining the shoes of the state hook and bullet departments? Who is really administering the Wilderness? 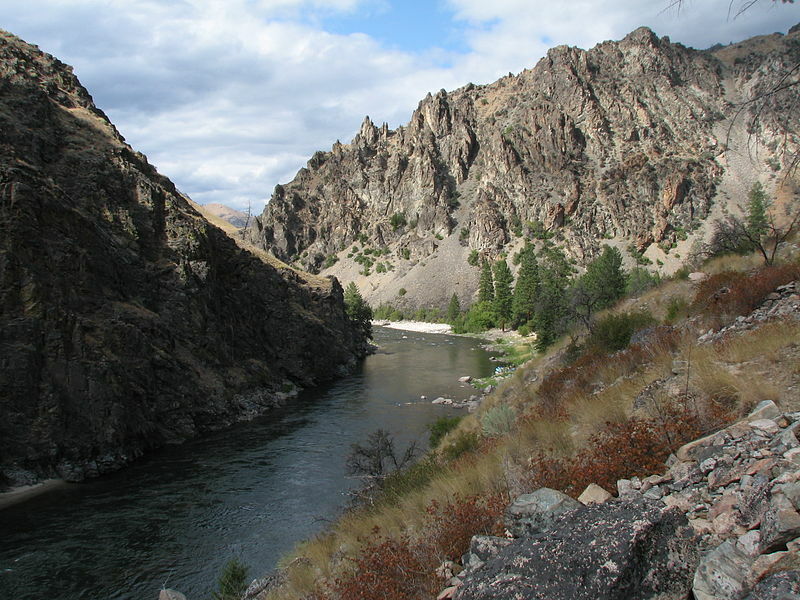 As Russell and I descended in elevation on the third day, the sun shined warmly, the skies stretched a bright blue, and the mighty Salmon River came within view. We peered though the binoculars, and combed the south-facing slopes for herds of elk. Dozens of ungulates lay basking on the hills, while those closer leaped and bound to a more secure place. We also observed whitetail and mule deer (strangely enough together) and lots of wolf tracks. Far off in the distance, we saw what looked like two golden eagles circling a spot on the hill, as if a kill had recently occurred. Despite seeing a number of horses by the river late that afternoon (why are horses running freely on the national forest in winter, particularly in crucial winter-range habitat? ), not a human was in sight, and the frozen riverbank was ours to explore and make home. We rested and dreamily watched small pieces of ice float downstream along the sides of the quiet, rolling river. Later that evening, after a hot meal, warm fire, and the usual time-to-get hydrated routine, we dozed peacefully under a star-studded sky when suddenly we were awoken by the yips, screams, and howls of coyotes. After shaking our heads no, those are not wolves, we gleefully listened to the songs (and celebrations?) of a dozen coyotes not far from our tarp. They yipped for 3-4 minutes but it felt like a lot longer than that. The sweet music of the Wilderness had finally reached us! When day broke and our bags were packed, Russell and I contemplated where the Idaho Fish & Game helicopters could be. Were they invading to the south along Big Creek? Were they harassing and stressing dozens of cows and calves to the east? The mere thought of these non-conforming, highly mechanized machines flying and landing wherever they want in the Wilderness made us sick to our stomachs. We both wanted to know how can the uses of helicopters, net-guns, tranquilizers, and GPS-collars be the minimal tool(s) needed to administer the Frank Church-River of No Return Wilderness? None of it made any sense. Little did we know that wolves were being collared too. Which leads me to my final thoughts. What good is a National Wilderness Preservation System if the federal officials charged with administering the system, and individual areas, continues to approve projects that are incompatible with the Wilderness Act? Why are the Forest Service, Bureau of Land Management, National Park Service, and U.S. Fish and Wildlife Service repeatedly rubber-stamping proposals that harm Wilderness? How is the collaring of wildlife in federally designated wilderness representative of a self-willed landscape? Explain to me how helicopters, net-guns, and radio-collars enhance or preserve wilderness character? This tragedy (“accident”) should serve as a lightning rod to spark a discussion, better yet, a movement, to do two things: create an independent federal department solely charged with stewardship of the wilderness system, and pressure Congress to pass legislation that forbids all state fish and game agencies from conducting any operations inside federally designated Wilderness. To hell with the Forest Service and the other federal agencies, which continue to trammel the Wilderness and our natural heritage. We cannot keep leaving it to the attorneys to defend the Wilderness Act. We must do something bold. The status quo is badly broken and only getting worse. Ed Abbey is rolling in his grave and still screaming, “The Idea of wilderness needs no defense, just defenders.” This message needs to reach every living room in America. Brett Haverstick is the Education & Outreach Director for Friends of the Clearwater, a public lands advocacy group based in Moscow, Idaho. He has a B.S. in Parks & Recreation Management from Northern Arizona University and a Master’s degree in Natural Resources from the University of Idaho. He has been a member of Wilderness Watch since 2007. The views expressed are his own. Right before the holidays last December, an anonymous caller alerted Wilderness Watch that the Forest Service (FS) had approved the use of one of its cabins deep in the Frank Church-River of No Return Wilderness (FC-RONRW) as a base camp for an Idaho Department of Fish and Game (IDFG) hunter-trapper. The cabin would support the hired trapper’s effort to exterminate two entire wolf packs in the Wilderness. The wolves, known as the Golden Creek and Monumental Creek packs, were targeted at the behest of commercial outfitters and recreational hunters who think the wolves are eating too many of “their” elk. Idaho’s antipathy toward wolves and Wilderness comes as no surprise to anyone who has worked to protect either in Idaho. But the Forest Service’s support and encouragement for the State’s deplorable actions were particularly disappointing. Mind you, these are the same Forest Service Region 4 officials who, only a year or two ago, approved IDFG’s request to land helicopters in this same Wilderness to capture and collar every wolf pack, using the justification that understanding the natural behavior of the wolf population was essential to protecting them and preserving the area’s wilderness character. Now, somehow, exterminating those same wolves is apparently also critical to preserving the area’s wilderness character. The only consistency here is the FS and IDFG have teamed up to do everything possible to destroy the Wilderness and wildlife they are required to protect. Wilderness Watch, along with Defenders of Wildlife, Western Watersheds Project, Center for Biological Diversity, and Idaho wildlife advocate Ralph Maughan, filed suit in federal court against the Forest Service and IDFG to stop the wolf slaughter. Our suit alleges the FS failed to follow its own required procedures before authorizing IDFG’s hunter-trapper to use a FS cabin as a base for his wolf extermination efforts, and that the program violates the agency’s responsibility under the 1964 Wilderness Act to preserve the area’s wilderness character, of which the wolves are an integral part. Trying to limit the number of wolves in Wilderness makes no more sense than limiting the number of ponderosa pine, huckleberry bushes, rocks, or rainfall. An untrammeled Wilderness will set its own balance. The FS’s anemic defense is that it didn’t authorize the killing, therefore there is no reviewable decision for the court to overturn, and that it was still discussing the program with IDFG (while the trapper was in the field killing the wolves). Unfortunately, the district judge sided with the FS and IDFG, so we filed an appeal with the Court of Appeals for the Ninth Circuit. Rather than defend its action before the higher court, Idaho informed the court that it was pulling the trapper out of the Wilderness and would cease the program for this year. In the meantime, nine wolves are needlessly dead. We will continue to pursue our challenge because the killing program will undoubtedly return. The Forest Service can’t and shouldn’t hide behind the old canard that “the states manage wildlife.” Congress has charged the FS with preserving the area’s wilderness character and the Supreme Court has held many times that the agency has the authority to interject itself in wildlife management programs to preserve the people’s interest in these lands. Turning a blind-eye is a shameful response for an agency that used to claim the leadership mantle in wilderness stewardship. Wilderness Watch expresses its deep appreciation to Tim Preso and his colleagues at Earthjustice for waging a stellar legal battle on our behalf and in defense of these wilderness wolves. 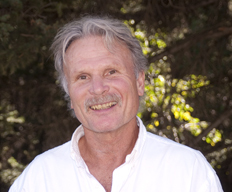 George Nickas is the executive director of Wilderness Watch. 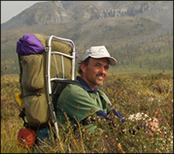 George joined Wilderness Watch as our policy coordinator in 1996. Prior to Wilderness Watch, George served 11 years as a natural resource specialist and assistant coordinator for the Utah Wilderness Association. George is regularly invited to make presentations at national wilderness conferences, agency training sessions, and other gatherings where wilderness protection is discussed. With the delisting of wolves from protection under the Endangered Species Act, their management has been turned back to the individual states where wolves occur. Most of these state agencies are adopting policies that treat wolves as persona non grata, rather than as valued members of their wildlife heritage. Nowhere do I see any attempt by these state agencies to educate hunters and the general public about the ecological benefits of predators. Nor is any attempt to consider the social ecology of wolves or other predators reflected in management policies. Wolves, like all predators, are seen as a “problem” rather than as a valuable asset to these states. State agencies are increasingly adopting policies skewed toward preserving opportunities for recreational killing rather than preserving ecological integrity. State agencies charged with wildlife management are solidifying their perceived role as game farmers. Note the use of “harvest” as a euphemism for killing. Their primary management philosophy and policies are geared toward treating wildlife as a “resource” to kill. They tend to see their role as facilitators who legalize the destruction of ecological and wilderness integrity, rather than as agencies dedicated to promoting a responsible land and wildlife ethic. Want proof? Just look at the abusive and regressive policies states have adopted to “manage” (persecute) wolves and other predators. Idaho Fish and Game, which already had an aggressive wolf killing program, recently announced it will transfer money from coyote killing to pay trappers to kill more wolves so it can presumably increase elk and deer numbers. The Montana Department of Fish, Wildlife and Parks supports new regulations that will lengthen the wolf killing season, increase the number of tags, and reduce the license fee charged to out of state hunters. In 2011, the agency requested permission to kill all but 12 wolves in the Bitterroot Mountains, including those within the Selway-Bitterroot Wilderness, claiming wolves were killing too many elk. Wyoming is even more regressive. Wolves are classified as “Predatory Animals” in much of the state and can be shot on sight at any time without a license or a “bag limit” in many parts of the state. Alaska, which already has extremely malicious policies toward wolves, is attempting to expand wolf killing even in national parks and wildlife refuges (it is already legal to hunt and trap in many national parks and refuges in Alaska). For instance, Alaska Fish and Game (AFG) is proposing aerial gunning of wolves in Kenai National Wildlife Refuge and wants to extend the hunting/trapping season in Lake Clark National Park, Katmai National Park, and Aniakchak National Preserve. The state has also proposed aerial gunning of wolves and gassing of pups in their dens in the Unimak Wilderness, ostensibly to increase caribou numbers. Fortunately, after a national public outcry, the U.S. Fish and Wildlife Service rejected this proposal. Similar persecution of wolves to various degrees is occurring in Minnesota, Wisconsin, and Michigan. South Dakota Game, Fish and Parks is on a vendetta against a small newly established mountain lion population in that state, and has greatly increased its mountain lion killing quotas. The point is these agencies are still thinking about predators with a 19th- century mindset when the basic attitude was the “only good predator is a dead predator” and the goal of “wildlife management” was to increase hunter opportunities to shoot “desirable” wildlife such as elk, deer, moose, and caribou. Many state game farming agencies suggest they have to kill predators to garner “social acceptance” for them. Killing wolves, bears, coyotes and mountain lions is suggested as a way to relieve the anger some members of the ranching/hunting/trapping community have towards predators. Is giving people who need counseling a license to kill so they can relieve their frustrations a good idea? To keep every cog and wheel means not only keeping species from going extinct, but maintaining the ecological processes that maintain ecosystem function. What makes state game farming policies so unacceptable is that there is no excuse for not understanding the ecological role of predators in ecosystem integrity. Recent research has demonstrated the critical importance of predators for shaping ecosystems, influencing the evolution of prey species, and maintaining ecosystem integrity. We also know that predators have intricate social relationships or social ecology that is disrupted or destroyed by indiscriminate hunting. Yet state game farming agencies continuously ignore these ecological findings. At best, their policies demonstrate a lack of professionalism. At worst, they show the agencies are as ignorant of recent scientific findings as many of the most vocal hunters/trappers they serve. The problem is that state game farming agencies have a conflict of interest. Their budgets depend on selling killing permits, which depends upon the availability of elk, deer, moose, and caribou. Any decline in “game” animal populations is seen as a potential financial loss to the agency. Therefore, these agencies tend to adopt policies that maintain low predator numbers. Yet, these same agencies are never up front about their conflict of interest. They pretend they are using the “best available science” and “managing” predators to achieve a “balance” between game and predators. Because of this conflict, game farming agencies turn a blind eye to ethical considerations. Most of the public supports hunting that avoids unnecessary suffering of the animals. People want to know the animal was captured and/or killed in an ethical manner. In other words, the animal had a reasonable chance of evading the hunter/trapper and is consumed rather than killed merely for “recreation” or, worse, as a vendetta. But when the goal is persecution, ethics and “fair chase” are abandoned. If the agencies continue down this path, it’s clear they will lose legitimacy with the public at large, and efforts to take away management authority will only strengthen. For instance, voters in a number of states have already banned the recreational trapping of wildlife, always over the objections of state game farming agencies. Efforts are now afoot to ban trapping in Oregon and other states may soon follow suit. The trend towards greater restriction is seen as the only way to rein in the abusive policies of state game farming agencies. In California, voters banned hunting of mountain lions in 1991, and an effort is underway to ban bobcat trapping. Oregon banned hunting of mountain lion with dogs. In other states, there are increasing conflicts between those who love and appreciate the role of predators in healthy ecosystems and state game farming agencies. Bans on all hunting have even occurred in some countries. Costa Rica just banned hunting, and Chile has so limited hunting that it is effectively banned. I suggest that the maltreatment of predators displayed by state game farming agencies will ultimately hasten the same fate in the U.S.
George Wuerthner has visited over 400 designated wildernesses across America, and published 36 books on a variety of environmental, geographical and wilderness topics. He has worked as a biologist, backcountry ranger, river ranger, hunting guide, and wilderness guide. He now conducts research on predators, wildfire, and wildlands conservation topics.